Lynne M. Webb, Professor in Communication, co-authored an essay entitled, “Conflicts with Heterosexual Partners about Sexual Discrepancies” in Communicating Interpersonal Conflict in Close Relationships: Contexts, Challenges, and Opportunities. The research, conducted with Moon Sook Son and Patricia Amason, examines communication within heterosexual partners on sexual discrepancies from a woman’s standpoint. In the face-to-face interviews, women described how they handle sexual disagreements with their partners. The participants were between the ages of 18 to 42 and the majority were undergraduate or graduate students. Communicating Interpersonal Conflict in Close Relationships: Contexts, Challenges, and Opportunities provides a state-of-the-art review of research on conflict in close personal relationships. This volume brings together both seasoned and new voices in communication research to address the challenges in evaluating conflict. Contributors review the current state of research on themes related to power, serial arguments, interpersonal and family dynamics, physiological processes, and mechanisms of forgiveness by presenting theoretical reviews, original unpublished data-driven research, and discussions about the methodological challenges and opportunities in studying interpersonal conflict. An essential resource for graduate students and faculty interested in interpersonal conflict in close relationships between romantic partners, families, or friends, this volume is intended for advanced coursework and individual study in communication, social psychology, and close relationship scholarship. 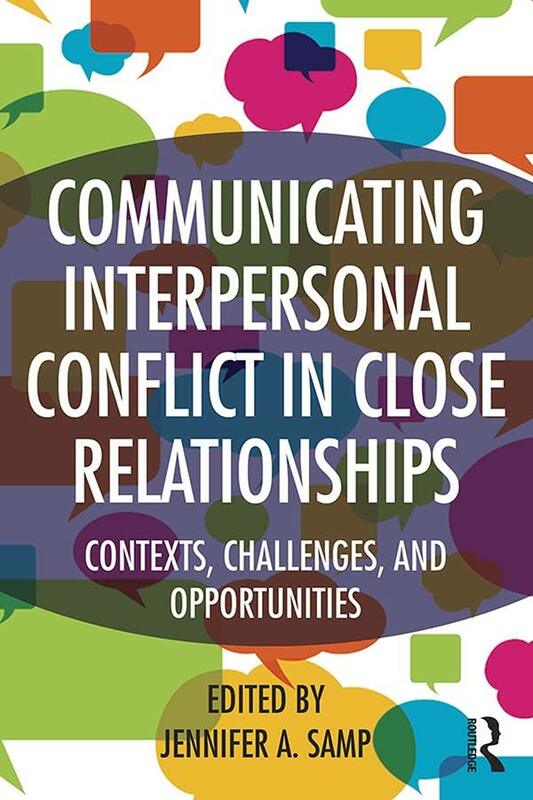 Communicating Interpersonal Conflict in Close Relationships: Contexts, Challenges, and Opportunities contains 14 chapters across 264 pages, edited by Jennifer A. Samp, Professor in Communication Studies at the University of Georgia. Dr. Webb joined the FIU Communication Arts faculty in August 2013. She previously held tenured appointments at the Universities of Florida, Memphis, and most recently Arkansas, where in 2012, she was named a J. William Fulbright Master Researcher. Additionally, Dr. Webb served as a visiting professor at the University of Hawaii and Hong Kong Baptist University. She completed her PhD in Communication at the University of Oregon. She teaches courses at FIU that include Interpersonal Communication, Conflict Management, and Communication in Social Media.